In a move to increase the understanding about the Forest Rights Act (FRA), a group of women have formed a Forest Rights Information centre in Kaptapally, Nayagarh district, Odisha. The Kaptapally Women Forest Protection Committee, which has 30 members, formed the centre on October 24 to keep records and other documents related to the Scheduled Tribes and Other Traditional Forest Dwellers (Recognition of Forest Rights) Act, 2006. The centre will also be used to store Non-timber forest produce, which the tribals have the right over under FRA. Most importantly, the centre has been set up to fast-track the process of granting Community Forest Rights (CFR) in the district. 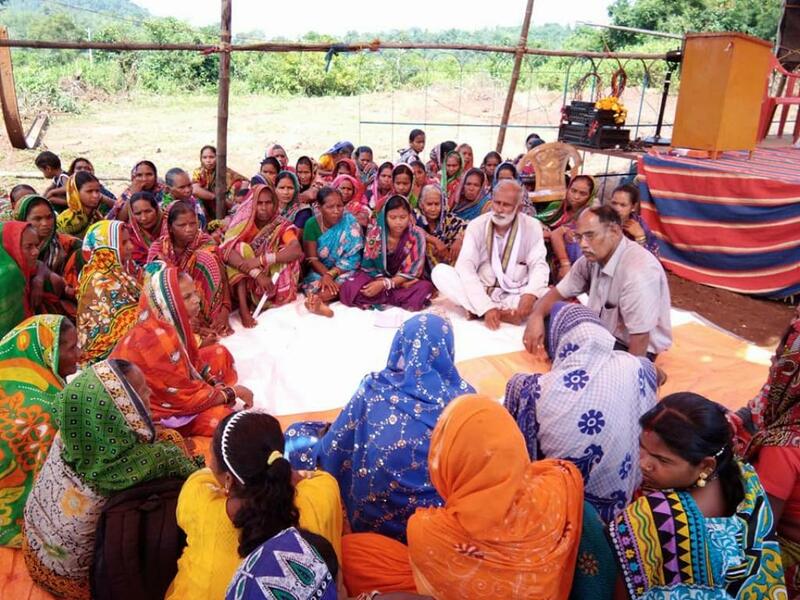 “In Nayagarh district, 24 CFR claims have been pending since the last three years,” said Sanghamitra Dubey of Vasundhara, a local non-profit working on tribal rights. This isn’t the first time women have come together to not only protect forests, but also voice their demand for recognition of FRA. A similar information centre was opened in Dengajhari village of Ranpur block on September 25. In fact, in the Ranpur block, women have had a long tradition of conserving forests. According to Dubey, there are 24 villages in Ranpur block where the same protection process is going on for last 40 years, but yet have not been given CFR rights. “Having witnessed grave degradation of their forests under Joint Forest Management in the 1980s, several villages in the area wrestled back control from the Forest Department to set up Community Forest Management. They harnessed their intimate traditional knowledge of the forest and plant species to increase the forest cover, bring streams back to life, and rebuild the natural habitat of elephants,” said Dubey. The inauguration of the centre was attended by women from neighbouring villages as well. The District Collector, Nayagarh Arindam Dakua, and Pratyusha Rajeswari Singh, MP, Kandhamal also attended the ceremony.